I found this Great Basin Gopher Snake warming itself in the late afternoon sun. Sand Canyon, Owens Valley, California. 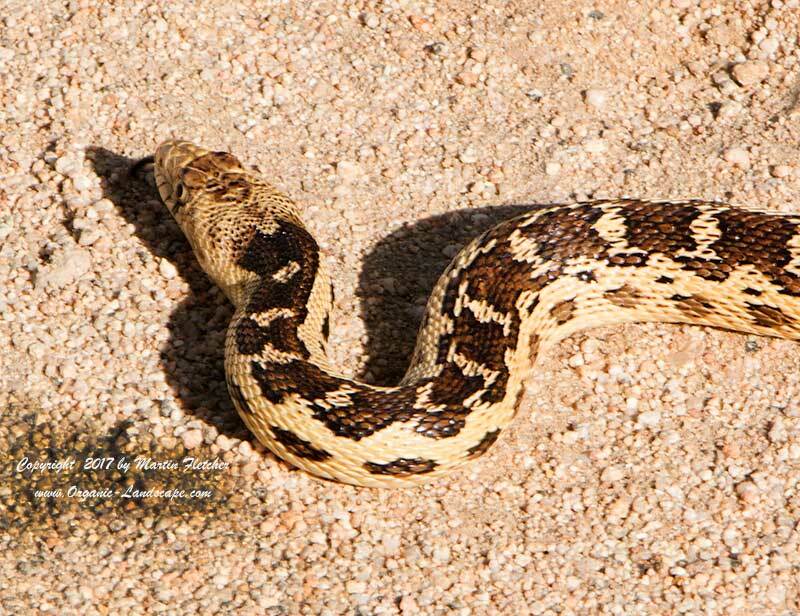 Great Basin Gopher Snakes are sometimes mistaken for the Western Diamondback Rattlesnake by those than aren't so familiar with snakes. Note the difference in the shape of the eye and head . . . and relief . . . no rattle.